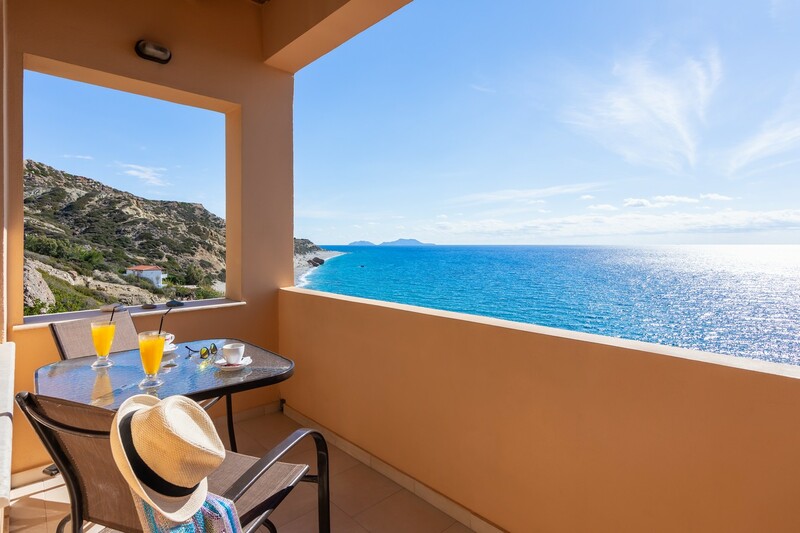 Make your vacation an enchanting experience and enjoy the island Crete from the most beautiful side in the Libyan Sea. 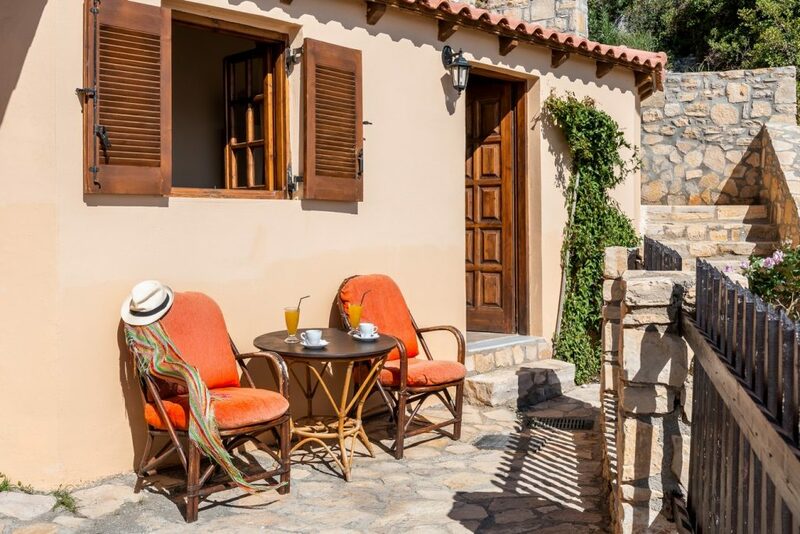 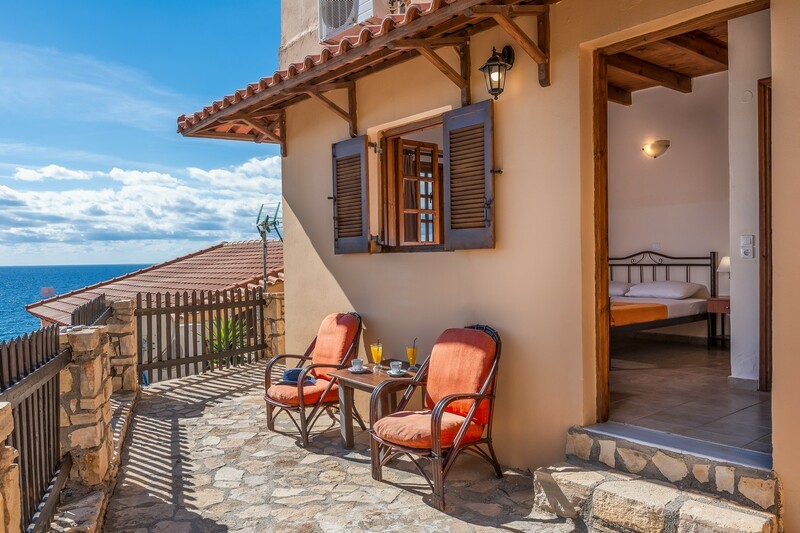 Katerina Studio is a double room with with small balcony, a bathroom, terrace and view to ligres beach and to Lybean sea. 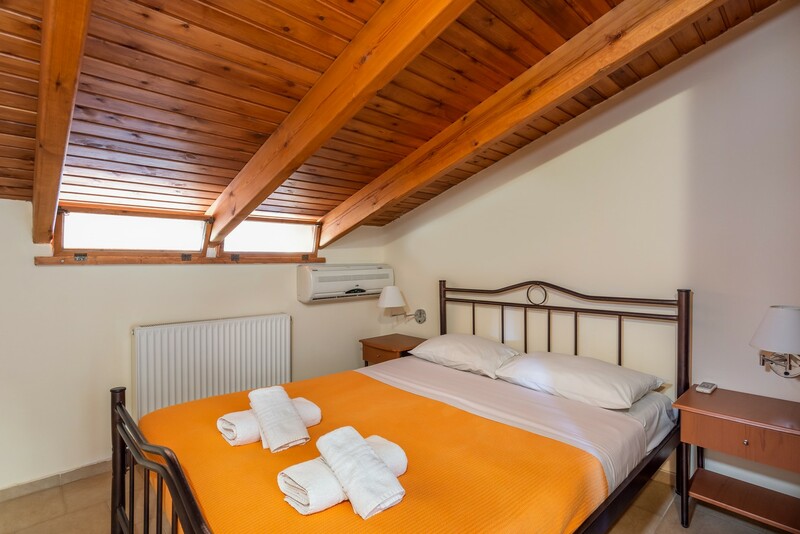 Occupancy up to 2+1 persons. 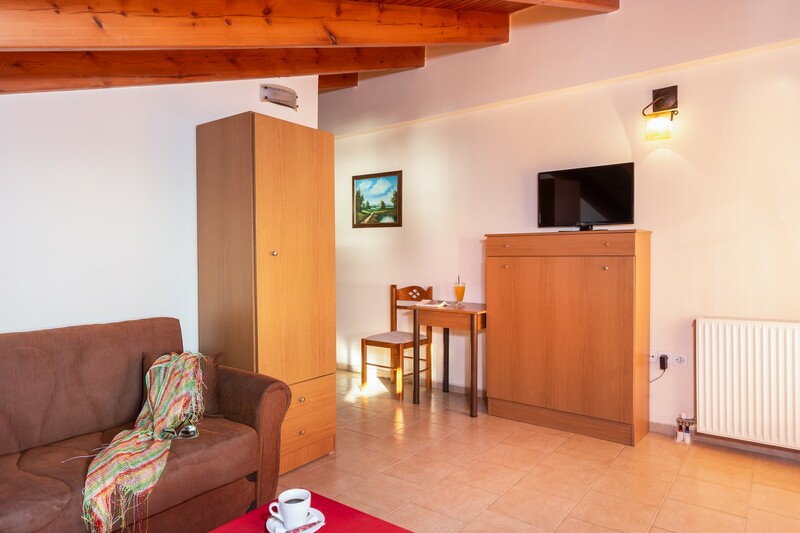 In Room Amenities: Satelite TV, Air Condition, Fridge, Wi-Fi. 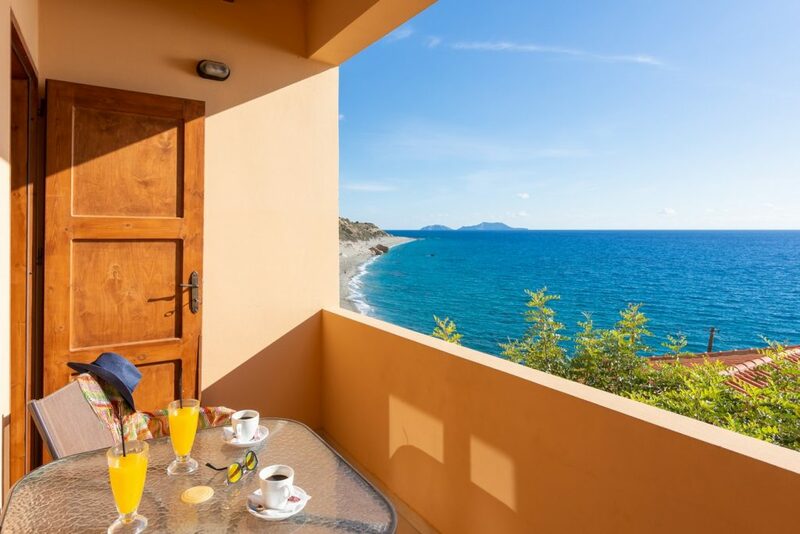 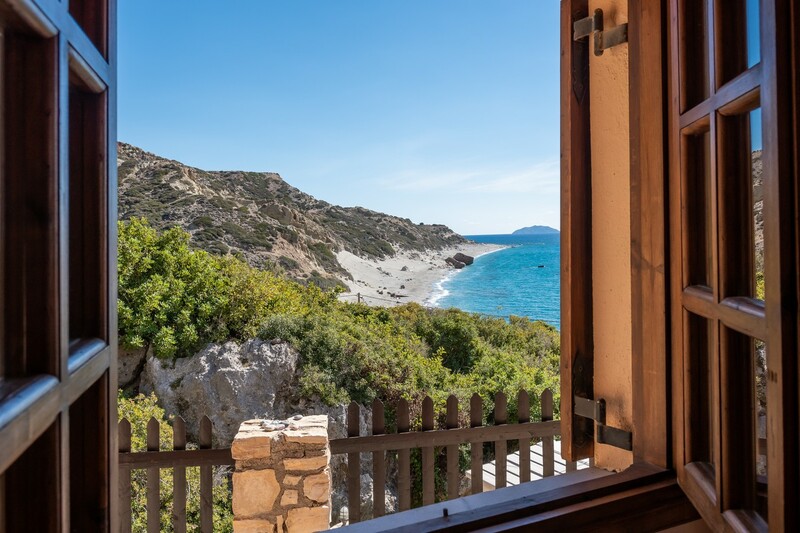 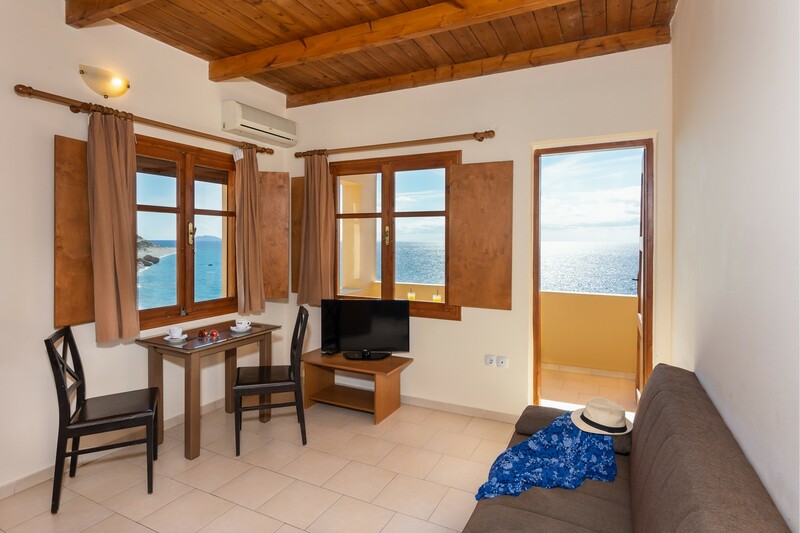 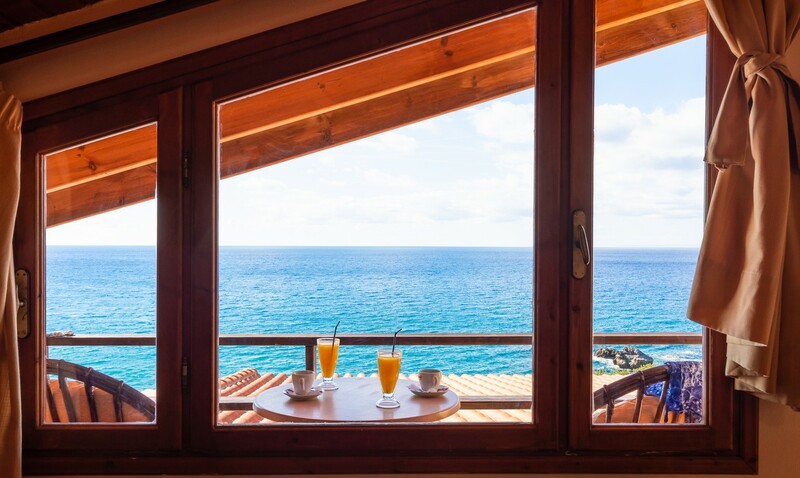 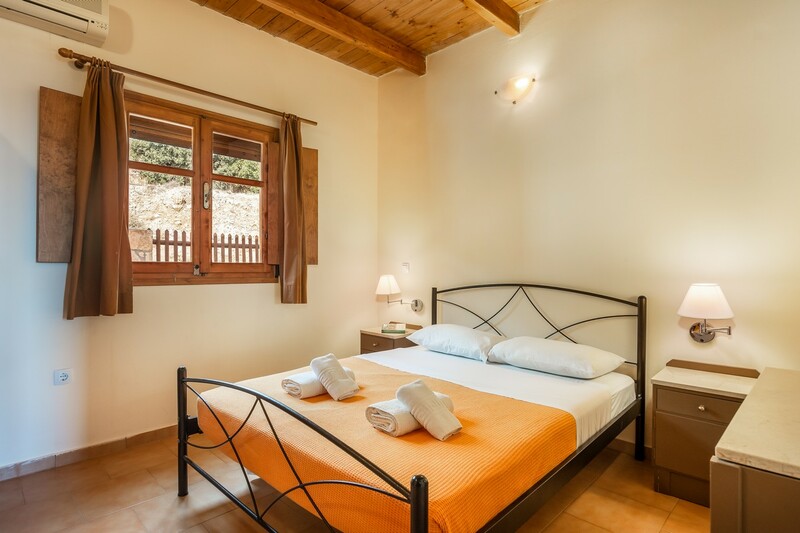 Stefanos Studio is a double room with small balcony, a bathroom, terrace and great view to ligres beach and to Lybean sea. 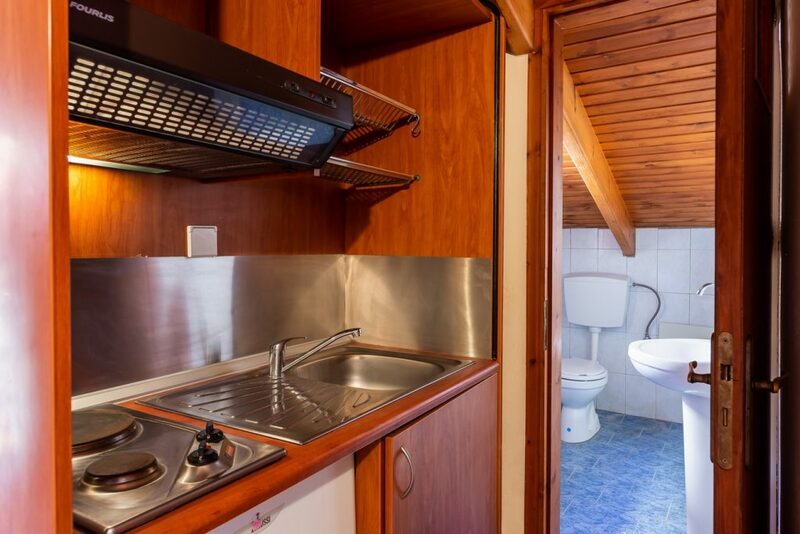 In Room Amenities: Satelite TV, Two Air Conditions, Fridge, Wi-Fi. 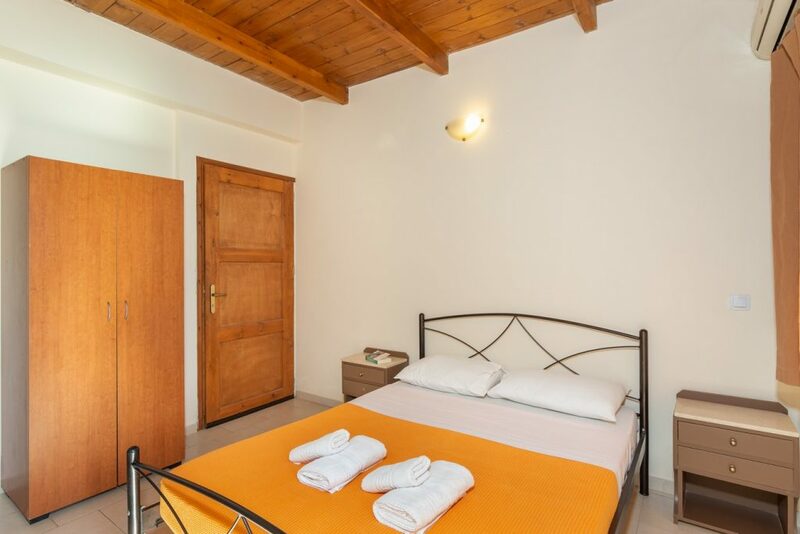 Eleftheria Studio is a double room with small balcony, a bathroom, terrace and great view to ligres beach and to Lybean sea. Georgianna Studio is a double room with great view to ligres beach and to Lybean sea. 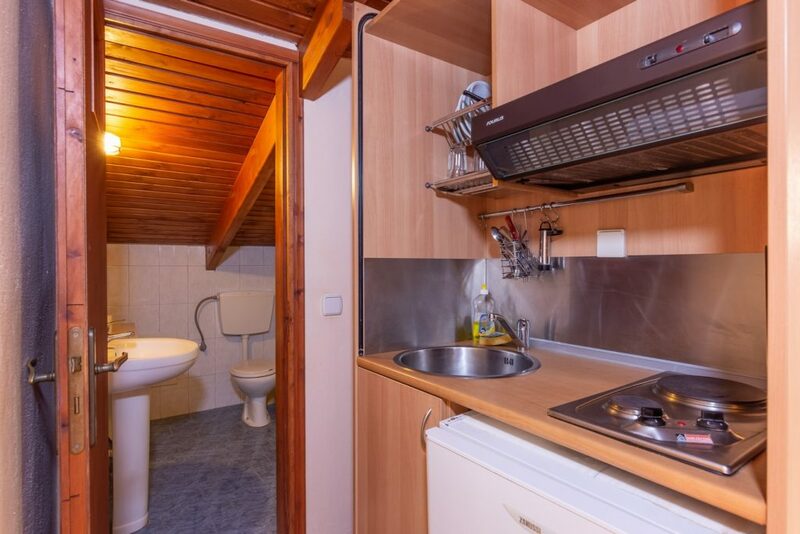 It constists of a double bedroom, a bathroom and a balcony with table and chairs. 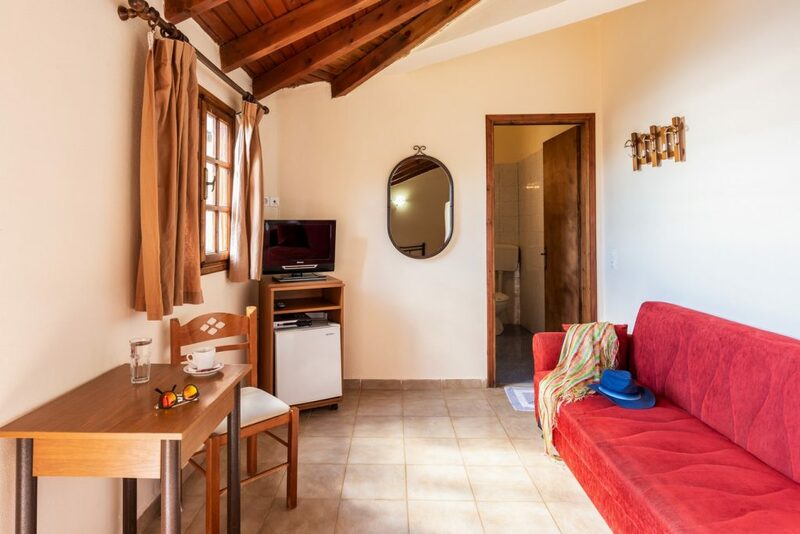 Occupancy up to 2 persons. 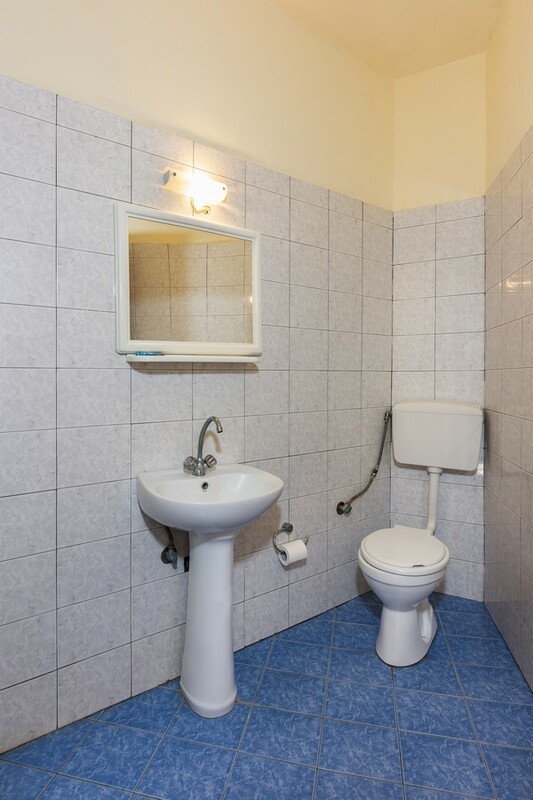 In Room Amenities: Satelite TV, Two Air Conditions, Wi-Fi. 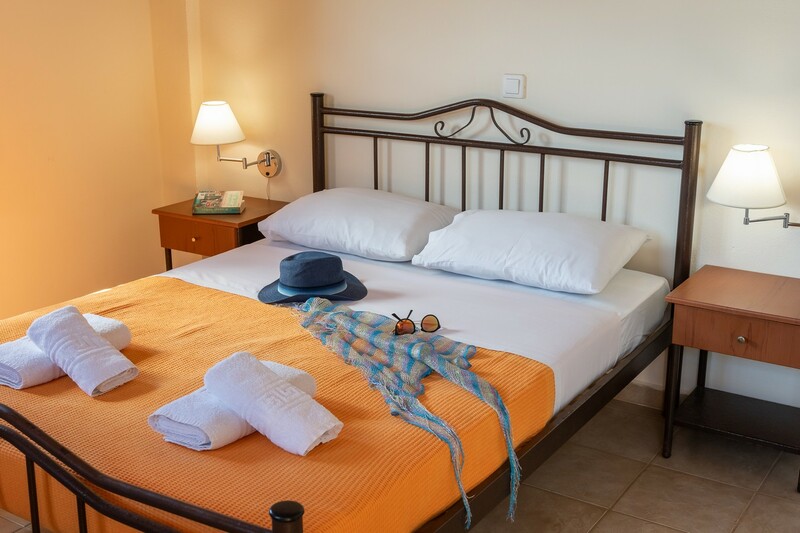 Antonis Room is a double room with small balcony, terrace and great view to ligres beach and to Lybean sea. 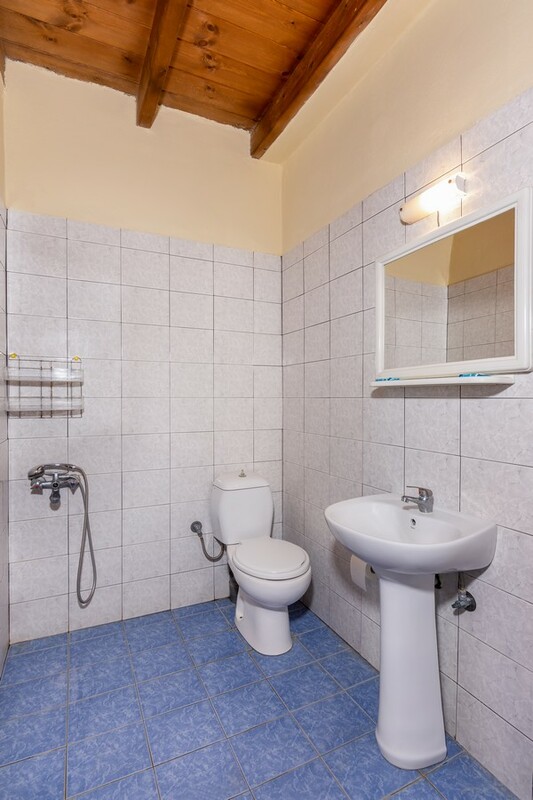 It constists of a double bedroom, a living room, a bathroom. 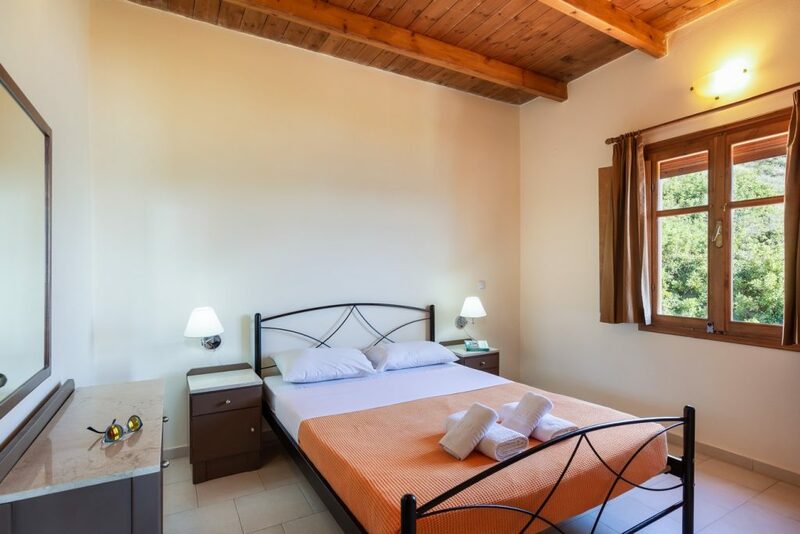 The Antonis room can host 3+1 persons. 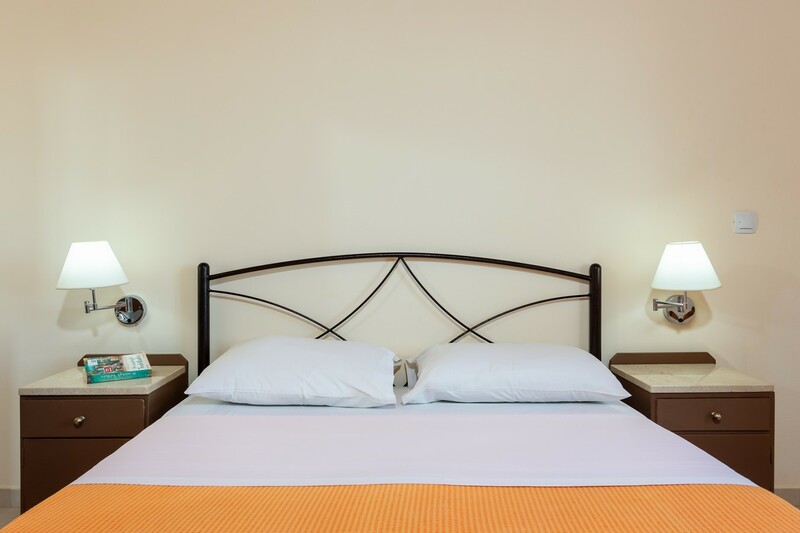 In Room Amenities: Satelite TV,Air Condition, Wi-Fi. 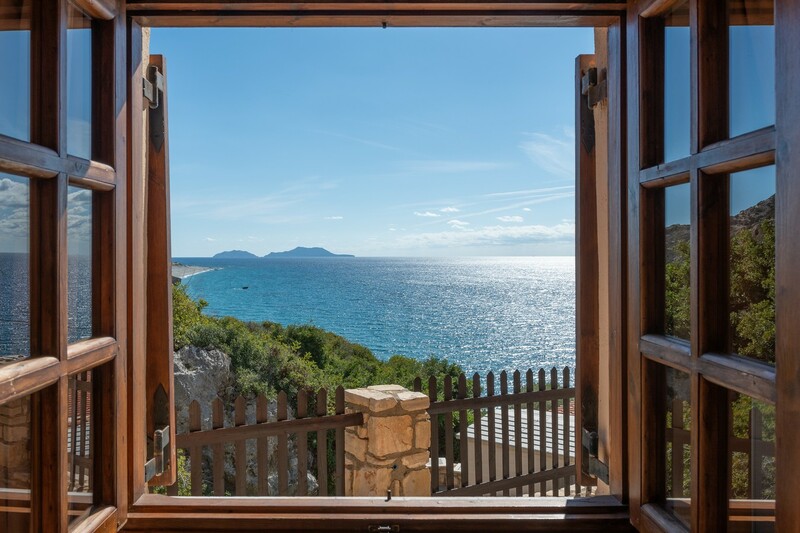 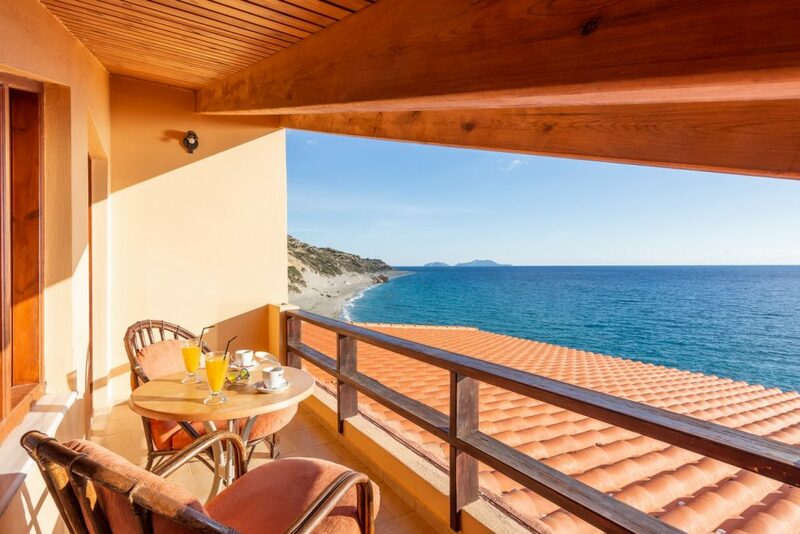 Vasilios Apartment is a double room with great view to ligres beach and to Lybean sea. It constists of a double bedroom, a living room, a bathroom and a balcony with table and chairs. 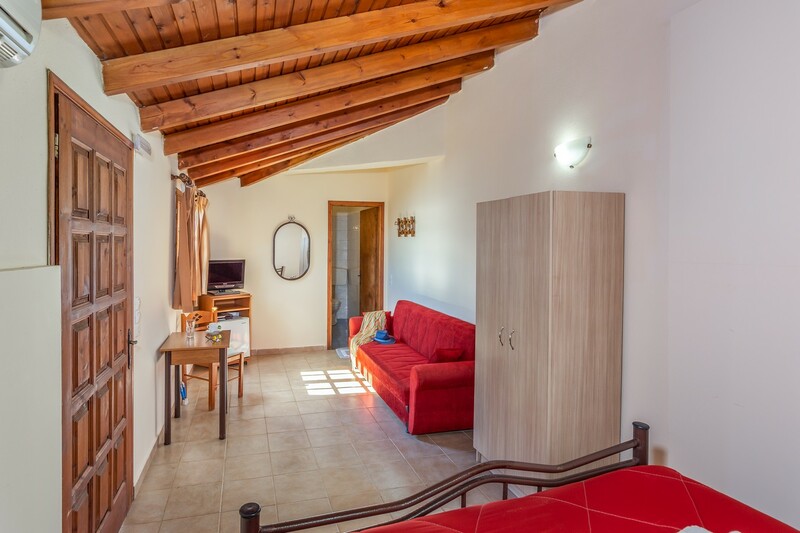 Vasilios apartment can host 2+2 persons. 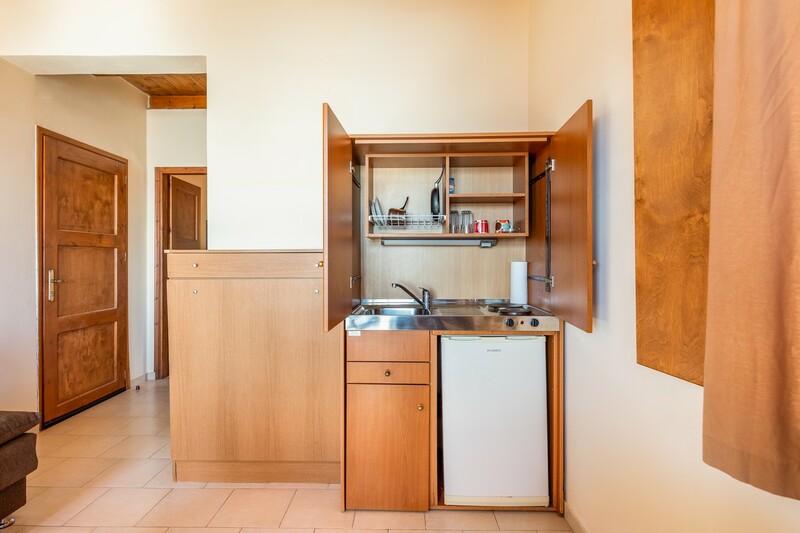 In Room Amenities: Satelite TV, Two Air Conditions, Fridge, Small Kitchen, Wi-Fi. 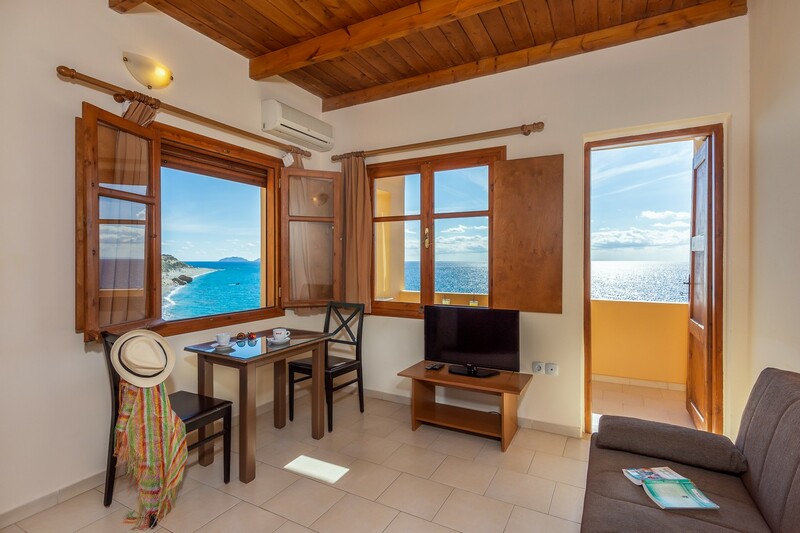 Manos Apartment is a double room with great view to ligres beach and to Lybean sea. 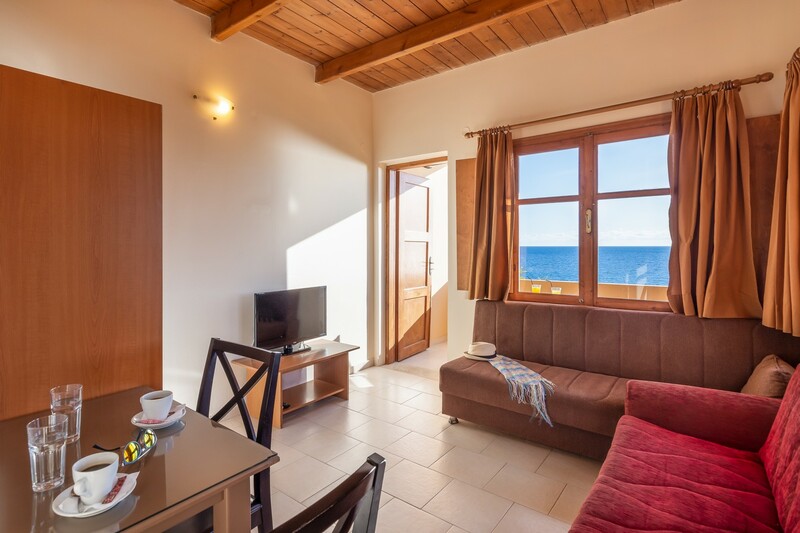 It constists of a double bedroom, a living room, a bathroom and a balcony with table and chairs. 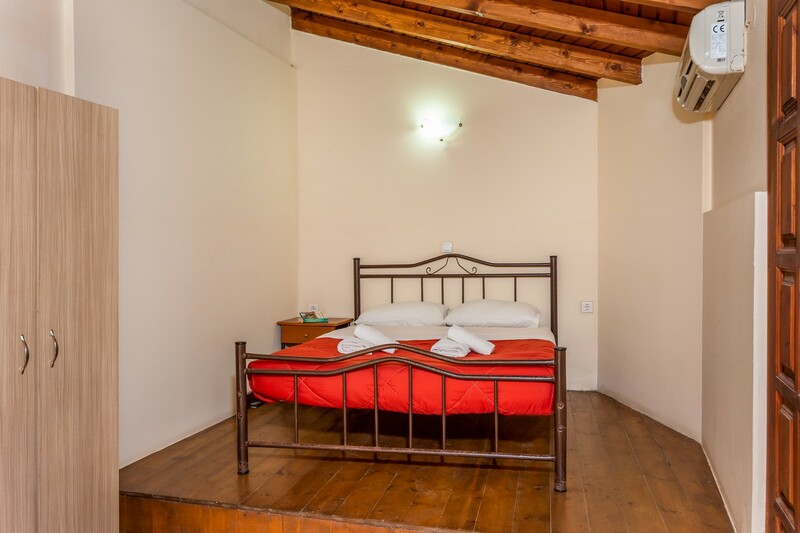 Manos Apartment can host 2+2 persons. 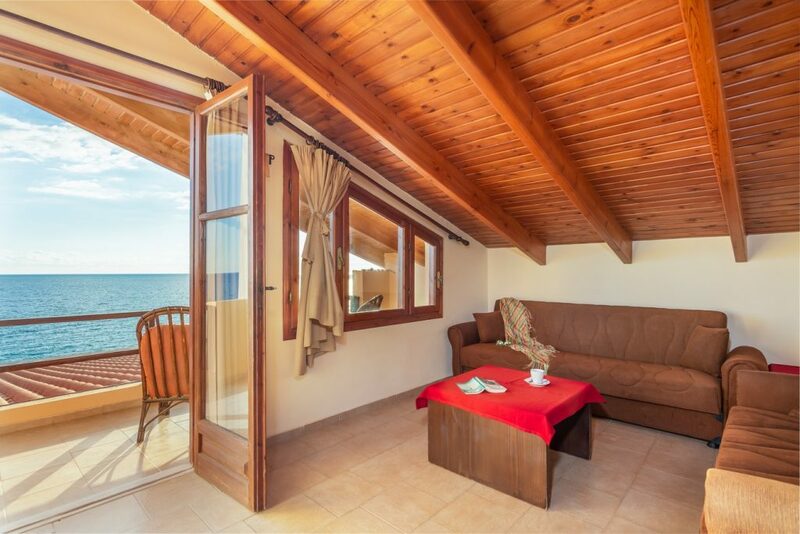 Nefeli Apartment is a double room with great view to ligres beach and to Lybean sea. 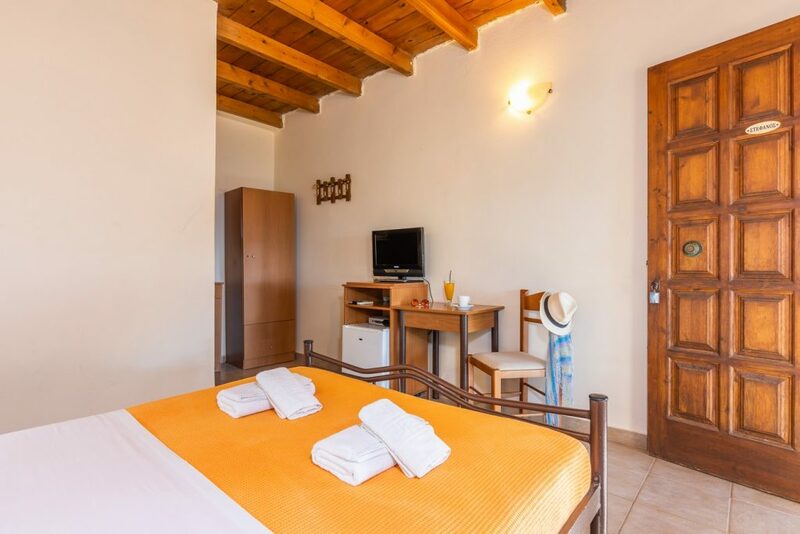 It constists of a double bedroom, a living room, a bathroom and a balcony with table and chairs. Nefeli Apartment can host 2+2 persons. Maria Apartment is a double room with great view to ligres beach and to Lybean sea. 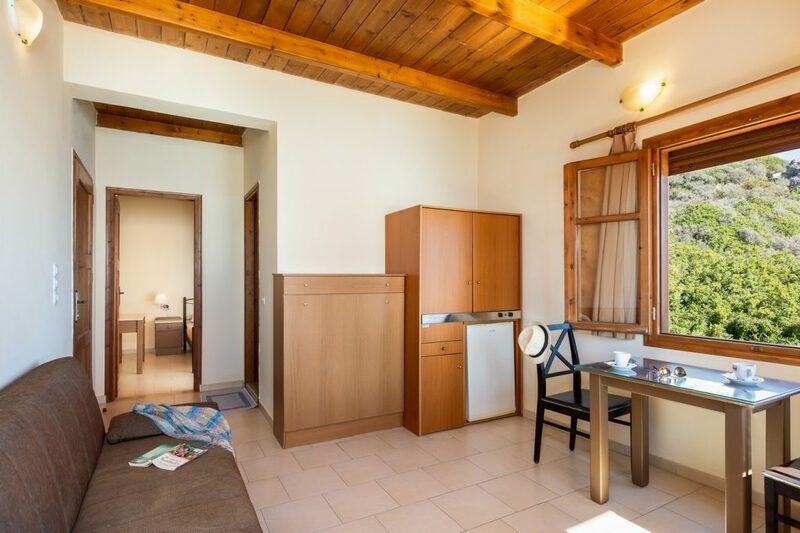 It constists of a double bedroom, a living room, a bathroom and a balcony with table and chairs. 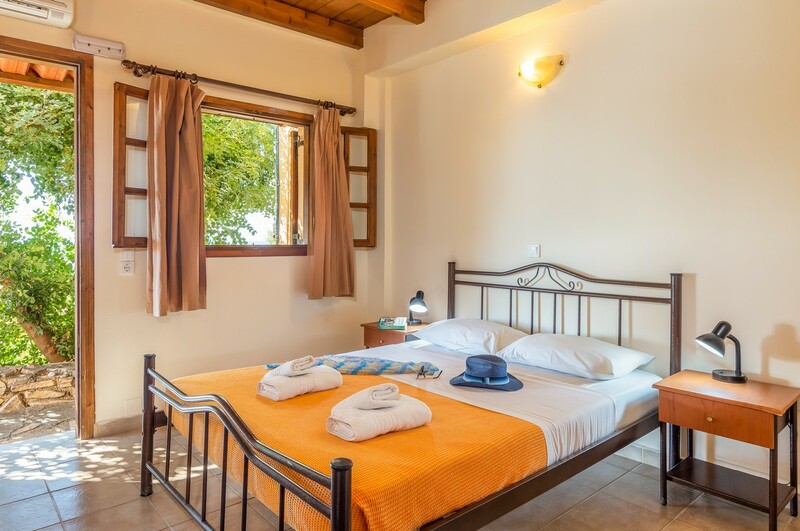 Manos Apartment can host 2+2 persons.